Discover the powers of Radio Silence and how it can help you get back with your ex quickly and for the long run. Radio Silence is a technique that we’ve been using since 2007, and one that has helped more than 15 000 individuals. If you are interested in making your ex miss you while setting the foundation for a new and improved relationship, this Audio Seminar is for you. We have extensive experience in handling the mistakes most people make during a breakup or separation. Even if you’ve made these errors, implementing the Radio Silence technique can save you. Don’t wait another moment; start getting your ex back today. Part 3: When is Radio Silence necessary? 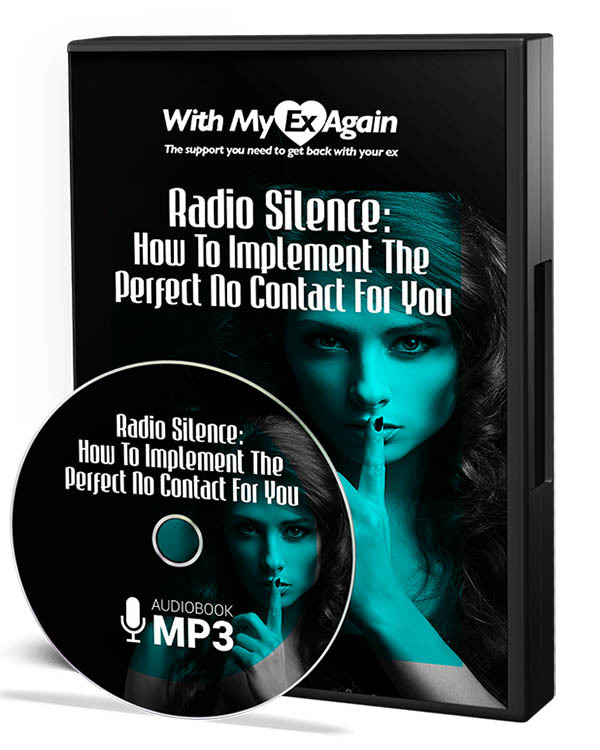 • How can Radio Silence help me get back your ex back? • How can I prove that you’ve evolved? • How can I avoid making mistakes? • How can I productively channel my emotion and communicate more effectively? • How can I inspire my ex to take the first step? • Is Radio Silence right for me? • How to tailor this process to what I am going through right now? • What are the different types of recovery processes? • What is the difference between distance and Radio Silence? • When should I reach out to my ex? • How do I cut contact with my ex? • How can I make my ex miss me? • How do I stop being needy? • How to regain control of the breakup recovery process? • What you can expect from your ex throughout the Radio Silence period? • How can I maximize my chances of successfully getting back with my ex? • What is the absolute number 1 tool in most breakup recovery processes? • What is my ex thinking? • How do I measure my progress on a daily basis? • Can we be happy together again?